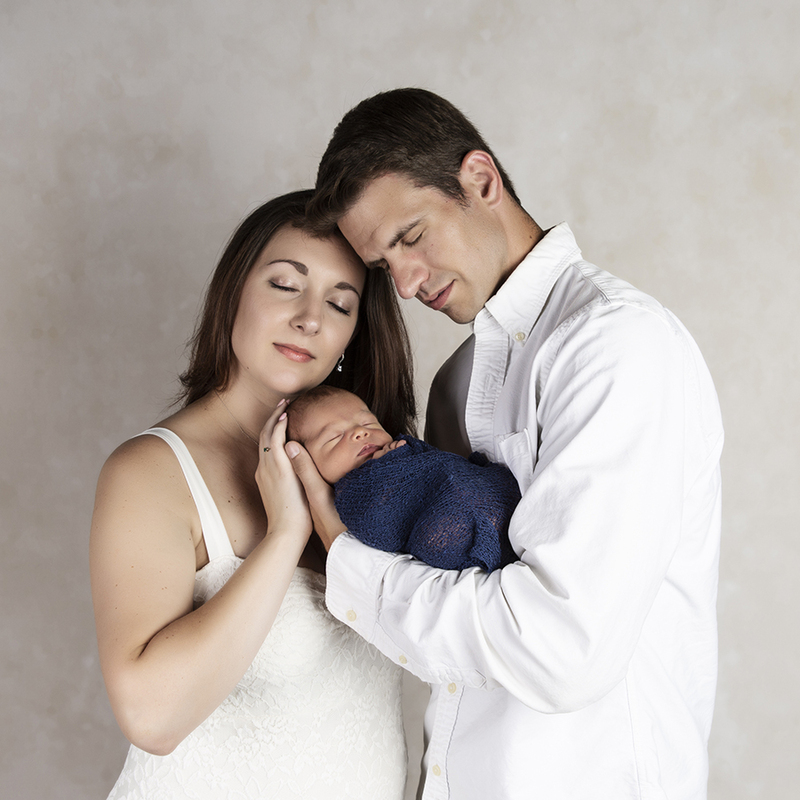 Capture the excitement and joy of those last few months of pregnancy while waiting for your new baby to arrive with a maternity portrait session at Crescent Moon Photography Studio. I welcome partners and older children to be present and participate, also. 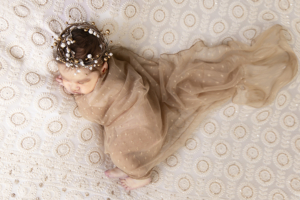 Finally, your beautiful baby is here and it’s time for baby’s newborn portrait session at Crescent Moon Photography Studio! My warm and inviting studio is comfortable and safe, and you’ll have many props to choose from to ensure the images will look perfect hanging on your wall at home. 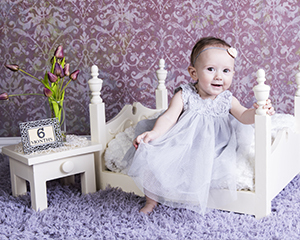 Babies change each and every day and Milestone Photography Sessions capture the big 4 milestones in the first year: 3, 6, 9 and 12 months. Clients are able to purchase each session individually, or as a package. I also offer cake smashes! Ready to book? 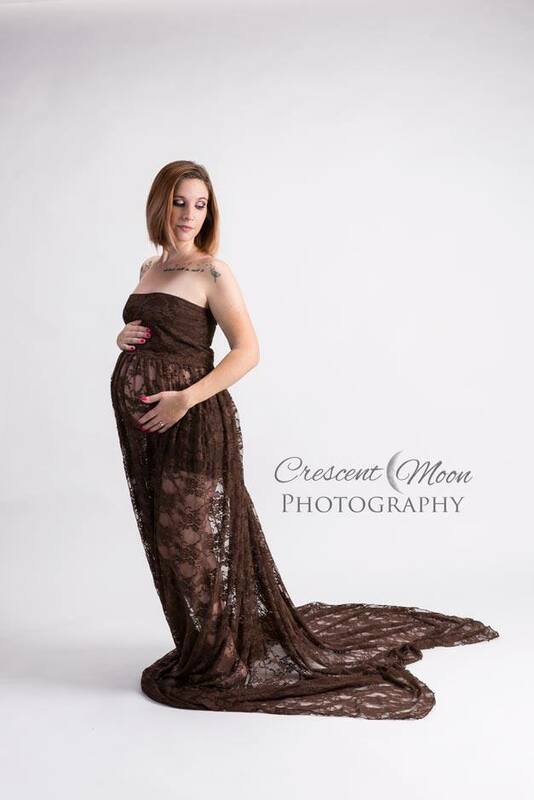 Call Crescent Moon Photography Studio at 401-294-1201 or you can also reach me on my cell phone at 401-218-8454. Alternatively, fill out the contact form and I will be in touch shortly! Allyson is the best in the business! Choosing her as my photographer for my daughters milestone photos was the best decision we made. She made the whole process enjoyable, natural, and FUN!! She is a joy to work with. In addition to her gentle and kind personality, her work exceeded my expectations. She has a true natural talent for photography and was able to capture every special angle with photos that meant the world to me. Her communication was consistent, effective, and efficient. Her precision to detail is amazing. If you want the most authentic, unique, and fun photos in town, she is your person. One conversation with her and you'll be hooked. Thank you Allyson! I love you and can't wait for future photo sessions! I went in apprehensive but Allyson and her assistant made it the least awkward shoot, it was so much fun! Not only is she super talented artistically, but she knows how to get the shots and keep the subject comfortable as well.